"What Papa couldn't do, Wanda will have to finish." These were the dying words 0f Wanda Gág's father to his eldest child. Anton was an artist in his own right and a bohemian in both senses of the word. He grew up in the part of the Austro-Hungarian empire called Bohemia, the son of a wood carver. He immigrated to the United States in 1873. He and is wife Lissi were both bohemians and free spirits and made their living from opening a photography studio together. They brought six girls and one boy into the world and bestowed upon them not only raw artistic talent but a passion and love for art and their fellow man. Wanda Hazel Gág was born in New Ulm, Minnesota to a mother who was a skilled storyteller and enjoyed telling folktales in her native German to her children. All of the children were encouraged to write, paint, draw, and make music. Although money was never plentiful the Gág family was rich in beauty and a strong inner life. They lived a full bohemian life in the house built by Anton himself. But everything changed when Wanda was fourteen and her father died of tuberculosis. Her mother soon fell ill as well and Wanda was forced to act as a sort of second mother to her six younger siblings. 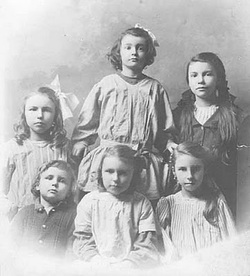 Wanda managed to support her large family by designing and selling greeting cards, giving drawing lessons, and most impressive of all, selling both stories and drawings to the children's section of the Minneapolis newspaper. In one 2 year period she sold 35 pictures, 14 stories and 4 poems. After graduating from high school Wanda received scholarships to an art school in St. Paul and eventually to the Arts Student League in New York. Four years in St. Paul and six in New York solidified many of Wanda's humanitarian beliefs and credos as well as affording her a strong background in the classical arts. Although quick to argue with her teachers and a staunch believer in herself and her own talents, she never hurt for friends or stimulating conversation. Wanda was also drawn to the tenets of feminism and the plight of the working class. Soon after Wanda moved to New York her mother also died leaving Wanda to raise the younger children. She supported the family much like her industrious father had done by creating art. She painted lampshades, designed toys, and created fashion illustrations and commercial art. 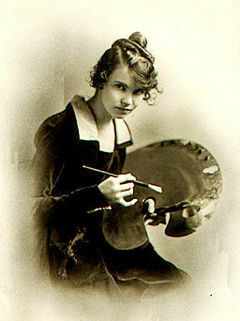 In the mid 1920's with her family mostly grown and supporting themselves, Wanda finally abandoned the commercial art world and moved first to Connecticut and then to rural New Jersey. She lived in the country with her youngest sister in a house she named, "All Creation." The house was no stranger to company and her myriad siblings often came by to help restore the house, draw, and even build a swimming pool by damming up the brook. Wanda gave the house it's name because, "ever since we've been here, whoever comes here seems to want to draw, to write poetry, to paint, even to sew--but do something!" 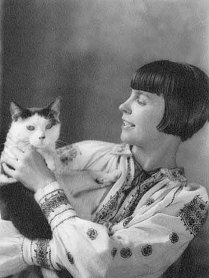 Ever a superb printmaker, Wanda's successful 1926 exhibition in Manhattan led a publisher to commission Millions of Cats, her first and most beloved children's book. The book was an instant success and publishers and readers alike were hungry for more. Marrying her talent for visual imagery with her mother's ear for storytelling, Wanda had finally found her true calling in writing and illustrating children's books. Having played such a major role in the raising of her siblings, she was even more equipped to produce the kind of books she felt children would appreciate most. She never condescended to children and thought they were more alert to the outside world than most people gave them credit for. Many other books were soon to follow Millions of Cats. 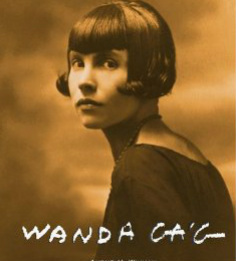 Wanda Gág died in 1946 at the age of 53 of lung cancer. Her ashes were scattered along the path to her studio.